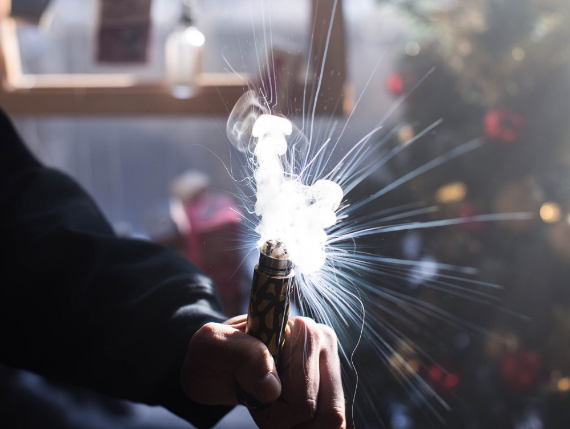 We have introduced Vape101: What are Mechanical Mods. If you have read it, you may know the simply Typical Construction of Mechanical Mods. In the custom mechanical mod Facebook group, there was some friend asking Wellon e-cigarette experts relate this topic. So, this post we want to discuss the construction of the best mechanical Vape mod. While the basic components are simple, there’s a lot of variation each part can have. For the ultimate in performance, each part — including the threads that connect them — can be optimized for minimal voltage loss. The end result is more power potential. The vast majority of mechanical mods are comprised of three basic parts. The switch, the body, and the connector. The switch is the cap at the bottom of a mech mod. The negative end of a battery makes contact with the switch. To fire a mod, you press the switch’s button. This completes the circuit and makes battery provide power to the atomizer. Springs are most often used to give a switch “feel,” while some mechs use opposing magnets. In terms of performance, spring material and design can affect performance. High-end mod makers like Wellon aim to minimize voltage lost to the switch. The body of a mechanical mod is the simplest part. Its job is to house the battery and connect the other two parts of the mod. That isn’t to say that its role in performance is minimal. The material of the body and the quality of its threads can affect voltage loss. Vapers concerned with performance look for mech mods that use highly conductive metals and feature precise threads. This part of a mechanical mod connects the positive end of the battery to the atomizer. Traditional connectors use a metal pin to make contact. The metal type makes a huge difference in conductivity, which translates to performance. Some mech mods use a hybrid-style connector. These connectors eschew a pin, allowing the battery to make direct contact with the atomizer. There are even mods the drop a connector entirely, having threaded atomizer screw directly onto the tube. While these designs help maximize performance, extra care needs to be used with mods that feature hybrid connectors. Batteries can vent if a hybrid connector is used improperly or carelessly. And since anything with a 510 pin will fit, one must exercise serious caution with these devices. If you have any questions about the best mechanical Vape mod for vape101, you can post it to our Facebook communicate group. Or do not hesitate to submit your questions to Wellon e-cigarette expert, we will reply within 24 hours.